Below you can find some clippings covered by the media on the Day of National Concern in 2016. Thank you all to participated, and we look forward to expanding our efforts in 2017. CEDAR RAPIDS — Washington High School students and staff in Cedar Rapids started to talk this week about ways to curb gun violence in their community. Children often are victims of gun violence – but that doesn’t mean they are powerless to make the world around them safer. That’s the basic premise behind the Student Pledge to End Gun Violence. CEDAR RAPIDS, Iowa (CBS2/FOX28) — October 19th is the national day of concern about young people and gun violence. It’s a subject the Washington community is all too familiar with. 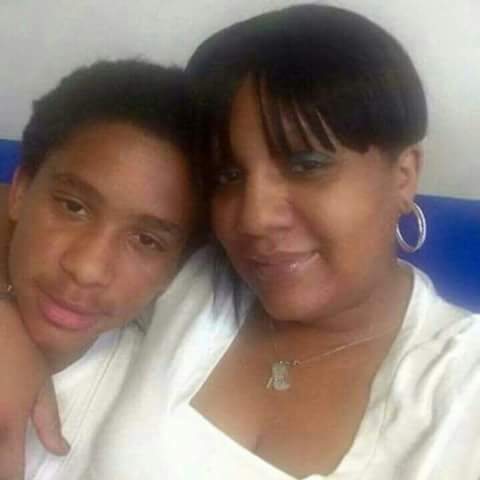 In March Washington High School student Sanquez Jackson died in an accidental shooting. JACKSON, Miss. — An entire class of students from a Jackson school said Wednesday that they have heard or seen gun violence. Every sixth-grader at an assembly at Peeples Middle School said they have heard gunshots in their neighborhood. Most of the students said they know a gunshot victim. JACKSON, Miss. (WJTV) — Students at three Jackson middle schools are pledging against gun violence. Middle schoolers at Peeples, Whitten Preparatory, and Siwell Academy all attended at Students Against Gun Violence program at their schools Wednesday. CEDAR RAPIDS, Iowa (KCRG TV9)-- Cedar Rapids students say shooting scenes are happening all too often in their hometown. This after shooting claimed the lives of innocent young people like Latasha Roundtree, Aaron Richardson and Senquez Jackson. That's why students are taking a pledge to try to end gun violence. This is part of a nationwide effort to honor the Day of National Concern. PLAQUEMINES PARISH, La (LOCAL 33) -- The Plaquemines Parish Sheriff’s Office partnered with the United States Attorney’s Office Eastern District of Louisiana, the Federal Bureau of Investigation New Orleans Division, and Our Lady of Perpetual Help Catholic School in Belle Chasse in recognizing Student Pledge Against Gun Violence Day 2016 in Plaquemines Parish. "All schools in Southeast Louisiana are invited to participate in our region’s First Annual Student Pledge Against Gun Violence Day on Wednesday, October 19, 2016. The event is being coordinated by the U.S. Attorney’s Office for the Eastern District of Louisiana, in partnership with its local, state, and federal law enforcement agency partners..."
Click here to check out the handout given to students in Iowa about the Day of National Concern.